It was such an honor meeting you and your fellow friends today. It was amazing for you all to let us experience what you did over in Vietnam during war. I hope to see you again soon. It's an honor for me to contribute to this awesome collection and I'm very happy to know that these wonderful little pieces of history are preserved in a collection to this purpose. Awesome American who put it Together! Thanks for serving our country!! This is an incredible museum-worthy collection! I've never seen anything like it! Thank you, thank you, thank you for all your work and for sharing this wonderful collection with us! We would also like to thank you for your service to our country! Great web page ! I'm proud to have had the chance to add something to your collection. Thanks to all the men and women in the armed forces for dedicating their lives to make our country what it is today...... THE BEST !! First, let me thank you for your service. Your site is a major contribution to Zippo appreciation and collecting with the special focus on naval and military Zippos. Very nicely done! I am honored to have helped locate the USS Mobile Bay US CG53 buckle, and I am pleased to know it has found a good home. Thank you for your service and your work in honoring our brave. I have some ZIPPO, can you help me identify it? I am so glad that my Uncle’s lighter from the Rhine River Patrol ended up a part of this amazing collection. Thank you for your effort to preserve this part of military history. John, thanks for letting me be apart of this great collection. It's the best collection I have ever seen!! Glad the lighter met your approval. Thanks for your business. Enjoyed learning about the different histories of lighters. Proud to have my lighter added to your collection. Thank You for your service. Great website preserving military history thru zippo lighter! Thank you for your service and for sharing your collection and serving our country. I wish you continued success with your collection. I discovered your blog while traveling a search on quality blogs and your own concept.I’m passionate about blogging. It’s my favorite reading. Bloggers like you show a very original perspective regarding sometimes a media treats in a pasteurized and unattractive way. I saw the USS Paul Revere Zippo.....Is it for sale? great and very informative site John. Thanks for sharing your wonderful collection. Thank you for sharing your unique collection!! It's shows your true love and dedication. Very nice site. Well organized and evident of extensive dedication of time. Thank you so much for sharing your amazing collection! It is an educational, interesting and enjoyable website. Will be sure to stop back by to see what you added. And thank you for your many years of wonderful service. All the best with your continued hunting to add to your collection! First of all I would like to thank you for your service in our nations armed forces. My dad was WWII army, came home missing an arm, a bullet wound in his legs and lots of shrapnel in his body. He was wounded 3 different times and thus awarded 3 Purple Hearts for his service. My dad, my hero. With that being said, I must say this is a very impressive collection of Zippo lighters. Thank you for your service and for sharing your collection. Enjoyed the web site. Glad the Staff College Zippo has a good home. God bless you and what a cool collection. Thank you for serving and honouring. Great collection and Great topic! Thank you for sharing this with me. I have sent your link to some family members who I think would enjoy seeing it. Great website, I collect militaria, and have a few lighters in my collection. Nothing like this site. Great site. My Father is a retired Marine. I grew up around the zippo. They served a many soldiers. Thank you for sharing your collection of Zippo lighters with the rest of the world and I'm so glad that we had men like you serving in our Armed Forces,may the Lord Jesus keep you safe. Respectfully signed, a brother in Christ. Nice site, beautiful stuff to honor our heroes. Thank you to all those who served and help in times of peace and war. Your work will not be forgotten. First, let me thank you for your service and for providing this great collection. I am honored that you have a Newport News Shipbuilding Zippo Rule in your collection - from my collection - as I was employed there for 18 years. On behalf of my husband, a Navy Veteran, and myself, we wish you continued success with your collection. Thank you for your service. Wishing you the best with your searches to enhance your Zippo collection. On behalf of my husband and myself, I am grateful that we were able to provide you with a lighter that has been included in your collection. We love and honor all those who has served to guard this great country and feel. We wish you good luck in the continuation of your collection. Great site! I am a retired Navy Submarine Officer, and I also collect Submarine Zippos. I recently purchased a USS Growler (SSG 577) lighter with no color. Can you send me a copy of your picture of the Growler Zippo so I can use it as a color master to have mine restored? I would appreciate it and I want to make it right! Great informative website. Thanks again for purchasing the lighter. Dear John, May this be a blessed time of the year for you and all who have served our country. Wishing all the very best in the new year!! Nice site, great job, lots of work to pull this off! let me know when you add a buckle collection! God Speed Sir, on your continuing mission to keep the flame lit, in memory of our fallen heroes and those who served beside them in defense of freedom! What a wonderful collection to honor our heroes. Very impressive collection. Thank you for your service. I also am a signalman! I've been out for some years now, and I do miss parts of being aboard ship steaming around the ocean. I am trying to get my collection back going again and i miss the Zippo lighters i had once collected. My new collection is not nearly as extensive a yours, but i hope to get there some day. Thanks for sharing your collection! First, let me thank you for your service. Second, let me commend you on your super military lighter collection. I really enjoyed looking at it and will be back to visit it again. I'm happy I decided to list it on eBay and to know my lighter went to " a good home". Great website John! Thank you for hosting it and more importantly thank you for your service to our country. I have added your site to my bookmarks and I will be a frequent visitor. I'm glad that one of mynicest lighters found its way to someone who appreciates it. I'm glad that one of my favorite lighters found its way to someone who appreciates it. Thank you for the invite to your website and for your efforts in preserving history. What an impressive collection, I am glad we were able to contribute to it. Good job!! I,M GLAD THE BELT BUCKLE HAS A GREAT NEW HOME.I ENJOY YOUR WEBSITE. I'm glad I listed the lighter on eBay, that gave me the opportunity to visit this site. Inspiring! I was a Navy Corpsman during the Vietnam War. I'm glad that my Zippo from the USS Calcaterra, DER-390, found a new home with you. She was my first ship as an ENS and I wasn't on board all that long as the survey board decided to decommission and scrap her. I bought the lighter in August 1968 and never used it because I never smoked. In 1968 she was homeported in Key West and was a school ship at sonar school. The Mills and the Thomas J. Gary were the other DER's that made up the school ship squadron. All three were "bluenose" ships, having made deployments to support Operation Deepfreeze in the Antarctic, but those days were behind her and she was definitely showing her age. Glad my Zippo found its way into your collection and an honor to be invited to sign your guest book. Best wishes to you and all that follow on this site, regards John. i'm honored that that old belt buckle found a beautiful home! Best wishes from Herrington's Collectibles. Thank you! God bless the men and women who sacrificed their lives and gave up so much for this Country! And bless those that follow in their footsteps! Keep history alive and NEVER forget. A pleasure and honor to sign this guestbook! Thank you for the invite John. I love what you are doing. My family has a long history in the armed services. Dad - WW2, Uncle - Korea, Uncle that was in the Green Berets of the 82 Airborne, and another uncle that died in Viet Nam. I served aboard USS Reasoner FF-1063 from '79 to '83. We made 2 WestPacs and an overhaul in Seattle. What a great time it was! Lucky for me, the Procurement Officer ordered the Zippo 50-year Commemorative for our ship. I keep that with a 1947 Zippo of my Dad's paratrooper division and an in-country Vietnam Zippo to honor my brother's service. I admire your work on this site, John. Thank you for your service. Thank you for your service. Its a very honorable and noble endeavor you have taken on to preserve and document all of the brave men and women whom so valiantly have served this great nation. Beautiful site and tribute! Thanks for letting us know about this wonderful collection. You have a very special Zippo collection. Thank you for your service. John, I am honored to have been able to make available the 1964 New in the original box Zippo Lighter commemorating the USS PARROT. Based on my profession and seeing your devotion to the collecting and preserving this niche class of Zippos, I will now be on the lookout for these, and will be probably donating them direct to you knowing the memory of all those who have served is being recognized and preserved. Super website John. Fantastic Collection of Military Zippos. Keep up the great work! Thank you for your service. What a treasure you are to our Country and people like me :) Thank you for your 27 years of active service and continued spirit of service since retirement. This is a great website. Thank you so much for your kindness and help with my Zippo Lighters. Very cool collection!! And you for your service! Thank you for this wonderful tribute and for your service. Just came across your page thru facebook very interesting and will be back. I living in Taiwan, I collect ZIPPO, I like your military zippo collection. Congratulations for your excellent website and wonderful Zippo Collection. Was given a collection of USCG Zippo items as well as other related items to sell for a client. Happy to see the Zippo items go where they will be treasured and displayed. Zippo repaired and fixed a rare table lighter for free, too. Zippo is an AMERICAN company that stands behind their product! Thanks for a great look at our heritage! I'm the previous owner of the Roland Kawasaki aircraft lighter. You have an AMAZING collection. I'm honored and proud to have added to it! THANK YOU for your service sir! What a great website!! So glad we could add a little more to your awesome collection. Thank you for your services for our country..
Great site. Thank you for sharing. You have put alot of work and thought into the site. Just wanted to view the site and discover what it's about. Needless to say, I'm impressed. Had no idea that Zippos played such an important part in the history of the services. BZ! (Well done). Ex-Coastie, served 1962 to 70. Great site and thanks for sharing. Thank you for your service...enjoy the ZIPPO toy truck. So glad it went to you. Great website! Keep up the good work. Thanks for sharing your collection. This is by far the best collection of Navy Ships and other Armed Forces Zippos. I'm truly happy the Ft Knox lighter found it's way to your collection. Thank you for sharing your awesome collection with the world. I'm glad that the NASA zippo lighter ended up in such a fine collection! Thank you very much for your recent purchase of the Zippo lighters. You have a truly unique and special collection. We're so happy they were able to find a good home where they can be displayed and treasured. In addition, thank you for your years of service to this country! God bless you! Glad the U.S. S. America Zippo lighter was added to such a great collection. I have an old beat up DH Fox Zippo! Pretty cool idea! I sold this for a friend and she will be thrilled to know it went somewhere it was greatly appreciated! I am very proud to have been able to give this lighter to such a respectable collection! Thank you for your service. Very cool website. Anything to honor, remember and praise the men and women who have fought, served and sometimes given their lives for this great country of ours and our freedoms I feel is much needed at this point in time! Keep up the good work. A collection of this quality is truly a tribute to the men and women who served in the United States Armed Forces. The lighters tell their story in a very unique and personal way. Glad they are all together. Thanks for your service and "welcome home Brother"
You truly made my day! I am humbled to read your story and to know that you served our country for almost my entire life. You are a great man. I am honored to have been able to contribute a beautiful lighter to your collection, and I am grateful that you are preserving a piece of history. Thank you so much for letting me know your intentions. You are an awesome man! Absolutely Stellar Website and outstanding collection of lighters etc..Hope to see the New Jersey buckle up soon. Of all the ships I had been on, not even one came close the magnificence of my girl, U.S.S. New Jersey BB-62 ! As a former vet, this site is much appreciated, thanks to all the vets out there and their families . May GOD bless you all. Site looks great, great addition to your US Navy Zippo Collection. USS Kalmia ATA 184. Hooyah! I am proud to have passed this rare lighter to your collection. I had high offers from dealers , but was more interested in it getting to where it belonged. Many thanks to all who served in our armed forces and to the brave men and women who continue to honor this brave tradition that made our nation great. Thank you to everyone who had served, is serving, and to the brave no longer with us. Thank you for your service John. I am glad that my Carl Vinson CVN 70 buckle is in good hands, and thank you for taking the time to remember the great men and women that serve our country! What a fantastic web site! Thanks for honoring those who have served while preserving our historic past! So pleased that you are happy with the ZIPPO LIGHTER "STARFIRE LOCKHEED / USAF F-94C" ~ IN ORIGINAL BOX ~ NEVER FILLED, that I sold you. I am also thrilled to see this site dedicated to our boys and girl of the Armed Service. My father fought in WWII and carried a Zippo. I only wish I still had it, but knowing my father, after he quite smoking, he I'm sure tossed it! Keep up the great work and let me thank YOU for your service! Hi! Great site. We're glad our "Nissan Line" lighter has made it's way into such a great collection. Keep up the great work here. Thanks! Thank you for preserving our American History. (DD-718) around 1972. I am searching for their standard issue lighter during that time. It was stainless on one side with an engraving of the ship, seal, and slogan, and on the back, there were gold ripples to simulate the sea. I can NOT, for the life of me, find this lighter online anywhere, including your website. I am searching for help down any avenue to acquire this lighter. I have reached out to military rep at Zippo and I am now reaching out to you. You seem to know your stuff and I am hoping to find an interested party to further my reach for finding this lighter. Please let me know if you have any tips, info, or a way for me to acquire the item. Thank you very much for your time. I am looking for the rightful owner of a military zippo lighter (USS Truxtun) with multiple engravings. The lighter was stolen from an apartment in northern Idaho in the early 90's by a classmate of mine & given to me. I have just found the lighter in a storage box and would like to return it to the veteran (or family) who it belongs to. Pleased that the P-3 Orion lighter I kept for so many years now has an appropriate home where it can be appreciated by everyone. I am also retired Navy as of 1997 after 28 years as a Naval Flight Officer. Great collection and website! Glad that the USS Orion AS 18 lighter from my late Father's collection has gone to a good home where it will be appreciated. He served in the Navy during Vietnam. Retired Navy with eight trips to Antarctica of which 2 were WinterOver. Nice selection of NSFA lighters. Was glad to add mine to your collection. Beautiful collection and a wonderful website. I know I learned something today from it. Glad I was able to contribute a zippo! Amazing, amazing collection! Thank you for your service and for sharing this collection with the world. Outstanding collection and extremely well curated. Thank you for making it available online for all to see. You are a true asset to the lighter collecting community. John, Thanks for the invite. I can't wait to see my lighter added to your collection. I will certainly reach out to you first when I come across another. What a great way to show support and respect to our retired Armed Forces and to those currently serving our Country!!!! I spent 15 years working for a US Defense Contractor designing and Manufacturing Up-Armored vehicles and I can say it was by far the most satisfying job I've ever had. Keep up the good work! I will be forwarding your link to all my friends! God Bless and thank you for your service! Thanks for what you are doing. Great collection.A lot of work,a lot of time & a lot of money.I will return. love your website! I will let my family and friends know about it. it is a must see! thank you so much for your service. Thank you for your service shipmate. Extraordinary collection, thank you for sharing. zippo lighter that I once owned when I wore a younger mans hat. Thank you for any help you might offer. Great site, good job, God Bless America. Glad I accidentally stumbled upon your page! All the best to you & Joyce. Thank you John for directing me to your wonderful Website. I shall visit here often I am sure. I was on the CVA 67 and was aboard her first MED Cruise as an AZ2 assigned to RVAH-14. It was a trip I will never forget. God Bless our Men and Women who serve our country. This is a beautiful site and thank you for your serve of this great country. I to miss steaming past Pt Loma and the smell of the ocean. It is was a site to see and always made me calm. Let me begin by thanking you for your service. I have a very dear friend who served in Sicily on the USS Brownson 868. He would love more than anything to find one of the lighters with his destroyer on it. We are both 59 now and grew up together. We have been best friends since we were 2. I would love to find this treasure for him as it would mean so much to him. I'm not sure if you sell from your collection or would know where I could find one. I am willing to pay a generous price. Thank you for your help and God Bless. You purchased the "DUKE" Beechcraft Zippo from me. My father Bill Bain work for Beech 30 years. He served in the Airforce during the Koreanwar. Your website does a Great Honor to our Men and Women who served our country and us. GodSpeed to them and God Bless you for making such a Honorable website. I sold the 'never used zippo lighter on ebay with the U.S.S Monterey ship on the front to the kind gentleman who owns this site. What an honor to sign your guest book. Take care, and blessings to you and yours. You really made my day sir!!!! John, I am glad that I was able to help you add to this impressive collection. John, How do we thank someone who has put his or her life on the line for Our Country? God Bless you for your Bravery & Courage. Thank you for honoring the men and women of our armed services who through courage and the grace of God defend our liberty and hold accountable those who attack these freedoms. Your website is a true gift for our deserving Service Men and Woman! Thank you for making this museum possible. My father was very please that someone understood the symbolic importance of the Beechcraft Zippo lighters. A quality and fine collection of Lighters. I am happy my lighter is part of your fine display. Thank you for sharing this and preserving this part of our History. Amazing website & fantastic museum quality collection! Condition is second to none. I am truly honored to have been the source of many Zippos over the years & hope to continue to be so. Thanks for your business my friend & please keep up the good work! Thank you John for all you have done. It is an honor to be a small part of your wonderful site. What a fantastic collection! Please know that the Zippo lighter you purchased from us, the USS EDSON DD 946 NAVY DESTROYER, was from the collection of a 93 year old WWII veteran. He would be honored to know that one of his lighters has found such a prominent home. You, your collection, and your website ... simply amazing! God Bless You - God Bless America. I have never dealt with a finer gentleman. Semper Fi! Found your website after you helped me with a Zippo lighter I found in an antique store. Great to see all the military lighters and your dedication to them and our county. On a side note, I know lot of work goes into being a signalman. A few years ago the Boy Scout brought back the Signaling Merit Badge and only three of our boys was able to complete it. They had a great time with it. You have a great site and collection of zippo's. I am glad one of mind will be part it. We need more people like you to keep History like it was. Terrific to see my eBay belt buckle on your great website! What a great website and wonderful tribute to the military men & women who served our country. So glad my vintage Zippo made it into your collection for others to enjoy. All the best! Great website and wonderful tribute to our Sailors! My Dad served on the U.S.S. Suwannee during WWII. Thankful our Zippo found it way into your extensive collection. Thank you for honoring those who serve to protect us and our wonderful country. This is a wonderful website. Your collection is amazing and its a treasure in itself. The links and pics and spiritual quotes make it very special. I admire you and thank you for your dedication to this website,and sharing it with everyone. Glad I could take part in helping the honoring of our soldiers. God bless all those that serve and have served or great nation!!!!!!! Beautiful collection of lighters. Glad to have been able to be a part of it. Definitely the best Military Zippo collection online. There is nothing else to be said but pure compliments and thank you for sharing it with us! God bless you! Your Zippo Collection is amazing and the higher purpose you have allowed it to serve is highly commendable. Glad I was able to sell you a Zippo you didn't have already in your amazing collection!! Wow! This is the most amazing collection I have ever seen, it's beautiful and inspiring, all for a beautiful cause and loving memory. You are amazing for doing so, keep up the incredible work, all the best. May they rest in peace. God bless! I am sincerly HONORED that you would want me to sign your guest book. This is one heck of a collection you have and I'm glad I could help you with it and be a part of it. What a wonderful collection! I'm honored that my cousin's Zippo has become part of this impressive collection. He would have been very pleased. Oh my gosh! Who knew? So interesting and such an extensive collection. Thanks for sharing, very enjoyable. Will have to come back to your site when I have time to really look it over. I am very impressed! What a marvelous web site. Bless you. I have been looking at various sites trying to locate a Zippo lighter like the one we have. Its is a slim line with a seal on front for the USS HEWITT DD-966 PLANKOWNER. The back has an engraving of the ship and the name again. I've done some research on it and it seems that it was quite a ship. Know where I might find more info on this particular lighter? I am glad the belt buckle found the right home. I will also be retiring this September with 31 years of service. Honored that you now have that USS Independence lighter, never realized that Zippo did that many different Navy lighters. Wow! Your collection is impressive. I am honored, that the U.S.S. Foss lighter, that my grandfather received from a Merchant Marine many years ago is now going to be part of this prestigious and historic collection. I take pride in knowing that it belongs to a sailor who served his country. John: I have been collecting Zippo's for over 20 years, I have seen collections that would make my heart pound but I would have to say this is the most impressive collection I have ever seen, I see a couple you bought off of me and I am very happy that I had the quality of Zippo to ad to your Master Piece, Thank you for showing and thank you for your dedication to Zippo collecting it is an inspiration to all of us that truly enjoy the hunt for that one special Lighter. USN 1958 to 1965: NAS Memphis, TN 58-59, USS Forrestal CVA-59 59-63 Cargo Handling Battalion- One 63-65. Operation Deep Freeze 64, Danang Viet Nam 65. Love your lighter display but you do not have one of the nicer USS Forrestal CVA-59 Zippo lighters that I had from the late 50 or early 60's. It was plated on front and back with what looked like Ivory with the ship on the front. I can't remember if it had anything on the back. I lost it years ago and have looked for another one since with no luck. I just bought one that looked like it but with an old sailing ship on the front. enjoyed your site. God Bless America and her warriors. I was aboard the USS Harold J. Ellison, DD864 on the Viet Nam cruise, 1965-1966. I am currently the Vice President of the Ellison Association. I am also the captain of the Florida Naval Sailors Association in New Port Richey, FL. I had a Zippo Ellison lighter, but it was lost years ago. I've been trying to find one to purchase for years. Very information and beautiful collection. Glad my Zippo is in it. What an honor to have ties to your historic collection and those who have served. As a fellow vet myself it is awesome to see the passion of your collection paying tribute to all of us real hard working American Vets and Active duty and companies who support DOD. What a wonderful collection you've got, makes myself appreciate the rich histories behind each. Thank You, May god bless you and those who're rightfully serving their countries. John: What a fantastic site, and the tribute it pays to veterans. I found your site while trying to find out about my neighbors 1947 Zippo where he served on the USS Wright. He needs to sell it, we are both veterans and I am going to be sure and show him your collection tomorrow. If you know anyone interested please let me know, would like for it to have a good home. It brings tears to my eyes to see all the wonderful lighters and thinking about what our country's veterans gave. May God bless you. I am happy that the Mach 2 Zippo has a good home. It's always a "plaisir" to see your website. Special day on this november 11th here for Belgium and in Europe. Remembrance Day First WWI war or the Great War. We want forget what the Americans did for us in those years. We want forget what the Canadians did for us in those years. We want forget all countries who fought for a better Europe. Thank you for building such a superb collection, and even more importantly, sharing it with us all. Great Website.Iam happy that the belt buckle went to a great collection that honors our Armed Forces. I happy my m/v Freeport lighter could complete your collection. what an amazing website and all my respect to you John! Very nice page and collection. Is the USS Daniel A. Joy in your collection? If not, I hope you win it on ebay today! Hope you enjoy the Hazelwood battleship zippo.it was special to me but glad its in your fabulous collection. my dad who served in the navy in early 1960's would have been thrilled with this collection.keep up the good work and for honoring the greatest military in the world! Very good page and amazing collection!!! I love your site!!!. I love old Zippos...One recently came into my possession that I cannot find anywhere to get an estimated value for. All I have is its a 1972 U.S. Naval Air Station Patuxent River Maryland. I have found estimated values for 1972 Zippos. I would really like to know more about it as I am a collector of Zippos and like to know as much about each one as I can. If you would like to see pictures of it to help me out please email me at lukealananderson@gmail.com. Thanks!!! Just a question: I am from Perth, Western Australia, about 15 years or so ago I found a zippo lighter in a night-club in Perth. USS Constellation is the ship on it, it is gold and has the letters CV 64 engraved onto it. I have kept in a draw for many years, but have recently though that it may be of sentimental value to someone. Based on the inscription (CV 64) do you think I would be able to track down the original owner? Thanks for your time. What a great collection! !Keep it flaming..
Glad we could contribute a part to your wonderful military Zippo collection that honors our Armed Forces. Keep us on your favorites list for more lighters in the future! I am located near Norfolk, VA and meet service men past and present almost daily. This particular article was exactly what I was searching for! This is by far the greatest single collection of Military Zippos ever assembled. I am so proud to have added one to it (Coastal Division Eleven "Snoopy" lighter). This is truly where it belongs. Fair Winds, my friend! My next Cd is dedicated to the men and women who have served their country and fought for freedom. Entitled "Soldier on the Highway"
Its individuals like yourself that educate the rest of us of the huge sacrafices that our men and women in uniform make. Fantastic website we are glad we found it and keep up the good work. I'm thrilled to be able to contribute to your Navy Zippo collection. Members of the armed forces deserve all the recognition they can get, and more, for the sacrifices they make for their country. May their deeds be recorded for all to see how our men and women could display what is the best in us. Served just below you guys in the Command Center, forget what we called it then. WOW! Your dedication is amazing. The collection is beyond words. Thank you so much for taking all the time, effort, and passion you put into this. I'm glad one of my zippo's made it into the collection. God Bless the U.S.A. and every single man & woman that ever served in our armed forces. If you have doubles of the Chanute AFB zippo would like to buy one. A Firefighter friend who served there has been searching for this lighter for years. I'd like to give it as a 60th B-day gift. Fantastic collection. I still have my lighter from 1970 when I was with the 101st Airborne in Phu Bai. It was a pleasure viewing all the Zippos. Great Job, Thanks for what you have done. I added a link to your page from mine ... Thanks again.... Great site ....Nice lighters !!! I am so glad to find lots of navy zippos here. We must never forget those who have served past and present that have made our Freedom possible ! I am so glad that my late Uncle's PVA zippo lighter has found such an honored home. He was the president of the PVA and worked for 30+ years for the Veteran's Administration and would be happy knowing that his lighter has found a place of honor. Wow!! This is truely an amazing collection. As a Vetran and a lover of history your collection is impactful and touching. I am honored to have been able to contribute in a small way to your collection. Well done and God bless! I am honored to talk with a navy seals who sacrificed himself for the country. Even if i know recently, is a man without prejudices and available to talk. He like me love zippos and have the greatest collection i've ever seen! Congratulations, you are a big man! Each day I enjoy visiting your zippo's web page as they are marvelous jewels for those who love this hobby. A great website=> nice collection of historical value. Thank you for your dedicated service!! As a child, I loved going to the bases with my dad/family, most notable was Andrews AFB. Nice meeting you- All the best! This is a Very nice collection and id love to see more. Thank you for all youve done and keep it up! I support you and our Great Nations Military all the way! Thank you for your service. You have a very impressive collection, and I am honored to have been a small part of it by getting a USS Virgo Zippo to you. Keep up the good work. Take care. John. We must never forget, my son is now following my footsteps, 25 years in the USMC and now he is at Paris Island, Militay "Men" the real heroes. Thank you for honoring America's heroes in such a unique way. May all those who have served the United State of America so bravely never be forgotten. Thanks for your dedication to all of them. Nice to meet you. Your blog I like it very much. Continue to work hard. Support you. Your blog is great I like it very much, the hope can become the friend with you. Thank you for another wonderful article. Where else could anyone get that type of information in such a perfect way of writing? I have a presentation next week, and I am on the look for such information. Fascinating. I had no idea that there were so many variations of the Zippo lighter. Thank you for your service. Great job on the site. Bless the USA! Great site. A very impressive collection of military themed Zippos. Our service men and women deserve all of the recognition and honor that we can give. Congratulations on a wonderful site. May God Bless you all for you dedication and service !!! You could certainly see your expertise in the work you write. The world hopes for more passionate writers like you who aren't afraid to say how they believe. Always follow your heart. Thank you for your information about my USS New Jersey Zippo lighter. I love this web site and am very impressed by your great collection of Zippos. This a real tribute. I carried and still do carry a Zippo while in uniform. (Current USMC)... Keep up the good work and let me know if I can ever help out. John... from one memorabilia collector (ship patches) to another, BZ. Your collection, and your web site are both impressive. You have a great collection, glad I could be part of it! Vietnam 1967-68. John, been a lot of years since we served together on the Agerholm. I'm glad that this lighter I sent you from River Division 552 will be added to your collection. I was awed to see the size of your colection. I'm glad we have people like you in this world, your website gallery really does Honour and keep alive the memory of "Fallen Heroes" and "Veterans" who served their country. Such a Beautiful collection. I do hope you will come back to Z, your input and thoughts, are really missed my friend. Keep in touch John. Creo que sin duda es la mejor coleccion de zippos que he visto nunca.Un placer para disfrutar a los que nos apasionan los zippos. Muchas gracias por compartirla.Un saludo. Nice collection. Thank You for your service to all others who have served or are serving now. Thank you to all that have served and all who are currently serving. Wow what a collection, and am super glad my Dad's VFW lighter went to you. I had heard the shelling from the Battle Ships during my time in Vietnam (USAF 1965-1966), glad it was aimed at them and not us. "For God did not send his Son into the world to condemn the world, but to save the world through him" John 2:17 the importance which is often overlooked. Your website is beautiful, and appropriately illustrative of our countries military history...I am honered that I was able to provide something useful to your collection. John I am touched that my departed friend(Angel Vivo), his USMC ZIPPO will be part of this loving tribute to all the amazing brothers and sisters such as yourself, have given their service, and even lives for our beloved country! You are never forgotten and always prayed for! God be with you all! Just wanted to say, "BRAVO ZULU" on such a wonderful website and your collection of "History". Thank you for your service to God & Country and for the continued service that you provide today through your website and collection. John, What is with you. I know that I'm far away in Poland, but I miss you seaman! I am the one that is HONORED to have contributed a piece of important american history to a website with a wealth of knowledge. Thanks for the email, and the site is amazing. God bless. John, this website is amazing! What a wonderful website and collection! Thank you for your service and thank you to all of America's servicemen and women who have served and continue to serve and keep our nation safe. Amazing collection. Thank you for such diligence. Brings back lots of ladies from "our day" back in Nam. Amazing to find of our girl, who rests with Davy Jones. I am touched by all the work you've done her. Thank you and all that served with you for your sacrifice. We are all in debt to each of you, those that came before and those that are still sacrificing for all of our freedoms. God Bless John! Amazing collection. WOW! Glad I was able to contribute another piece. Wow, Great Collection. Glad to see that our military past is being preserved and not forgotten. Keep up the good work. is a beautiful site. Been really great. This is a deferential collection. It's a great Zippo collection. Great site very well made​​. if you want any picture i send you. I,m sorry my english is pathetic. Regards. Fantastic collection thank you for taking to time to put it together. Thank you to all of are brave men and woman who serve our great country. Excellent collection portrayed in a fine website. Thank you for your service and for the time you put into creating and maintaining this website. WOW ! Fantastic Homepage, you have a very interesting Militäry Collection. I was almost sure to have already left a note on this site. Again, beautiful, not only for Vietnam but all of this impressive collection. A dream for collectors. cool website and an awesome display of military lighters. Hi John. I really like your cool website. It is so great to see other Zippo lighter collections. Keep up the good work. Great collection! Thanks for directing us to the site - and for your service to our country! Thank you for your past and continued service. Many thanks as well to all that served, aboard this guestbook. I will treasure my ships lighter and it will be proudly displayed along with all my service memorabilia in my office for all to admire. It took me a while but I found it John. Great web site indeed. I qit smoking ,april will be two years. You'll see that I traded my Spar Zippo for a girl's lighter in Tromso Norway in 1966. I served for 4 active duty years at Pax River, Maryland, and VW-2 airborne early warning. Then aboard the USS Kearsarge when it came out of Washington as an acft carier. Then to Kingsville, TX until discharge. A Great Man with a Great collection, Thank you for Serving your Country and giving us the Freedom some take for granted. Wonderful collection and touching Website. Awsome collection! I served 4 years in the Navy so the military and the people who have served our country have a special place in my heart for the sacrifices they make. I am glad to see the zippo is getting an excellent home! Merry Christmas! Served on the USS W L Lind 64-66. Great website! I SERVED ON W.L.LIND DD703 69-71. MADE WEST PAC CRUISE 69-70. SHIPS LAST ONE. STILL HAVE MINE, THANKS FOR SHARING. Don't smoke anymore but would love to have one like the Tunny one I used to own. Thanks for the effort! Your website, in one word, SUPERB ! From your mail and ZEN friend. Served on USS Tunny SSN682 from 1975 to 1979. I remeber these lighters. I wish I had kept one. Nice site, wondering where I put my Zippo so I wouldn't lose it?? You have a wonderful site. Do you really own all of these Zippos? I used to have the Guantanamo Bay Zippo but I don't know what became of it. Thanks for sharing you website and great Zippo collection. I have a USS Muliphen AKA-61 zippo. Got it when I was stationed on the Mighty Mule in 1964. Keep up the good work. Jerry Wotherspoon - President USS Muliphen Reunion Association. What a nice website! Your collection is awesome! I work with all the military reunions so it was nice to look through your lighters and see the fine assortment. Thank you to all of you who have served in our Armed Forces. Although I have some of the USS Canberra lighters, they are not in as good a condition as yours. HAD GREAT TIME ON AGERHOLM FROM 1965-1969. HOPE TO FIND MORE SHIPMATES WHO SERVED WITH ME. Beautiful homepage.I myself served 2 tours in Nam. Thanks for the help on Ebay. You've got a great site here, wish I had seen this first lol. Plank owner. Skiied behind the Morton while in the south china Sea. Nice web page and thank's for the work you've done on it. I am honored that one of my fathers lighters went to such an impressive collection. He was active duty in the Navy for 4 years and retired from the Navy Reserve. You have done an outstanding job on your collection and the website. God Bless. Great site! I'm glad you invited me to check it out. Very well done for all the Armed Forces, who have served so bravely. Nicely done. can't wait to share this with my son gavin. Its been a pleasure to view it, and i will do so on many occasions in the future. Your a very kind man. All the very best to you my friend. I enjoyed your web site and am honored to sign the book. My son retired from the military after 22 years of service last year and am very proud of him and of all the service members, active and retired. An impressive collection displayed in a top notch format. An excellent web site. I am glad my Zippo went to a good home... I was Army and then Air Force myself and appreciate the effort you put into this site and the sentiments that it conveys. Mark 12:30-31 (NIV). [Jesus replied,]'''Love the Lord your God with all your heart and with all your soul and with all your mind and with all your strength.' The second is this: `Love your neighbour as yourself.' There is no commandment greater than these. Very nice collection! An honour to sign your guestbook! Its always a pleasure visiting your site. Thanks for the variety of information, as well as your wonderful Zippo collection. www.zippopaul.com aka "The Passionate Wick"
I have much love for the Navy. My father is a retired Navy Corpsmen, serving overseas in Vietnam 1970. Thank you for all you do. Honored to sign your guest book. thank you for sharing these pieces of history. Hello John, I have been Honored to be asked to join the other "Friends" here on your site. I really need to do something like you have here on your "Site". Not having the "Know How to", this will be something to be done in the future. I need to find a person here about's to help with this job, but some day I will . . . . . . . I am the son of an Army man, and I am proud of all of our servicemen....All branches of service for the USA can be proud. great site. fair seas and following winds. LOVE the site! such an honor living in a country where people are willing to fight for me. Love the page and the 91st Psalm!! Way to go man!! Being an army brat I love your passion for the men of the Armed Forces. Keep the flame burning! ...A most beautiful website!! Thanks for letting me know about this. You are really dedicated in helping to preserve the many memories of the Navy!! It has been an honor to sign this website dedicated to all of our brave fighters, and you should proud to own such a thing. I am a "Navy" gal; my dad served on the USS Midway and my brother served on the USS Spiegel Grove. Your website shows sooo much passion for your love of the military and passion for the hobby of lighter collecting. We have really enjoyed visiting. You did one heckuva job with your beautiful photos, and your site is very easy to navigate. Keep up the good work - we'll be back! Thank you for your time and effort and for sharing with us!! The lighters are breath taking, WOW!!! Great Website! This is all about PRIDE. Thanks for setting me straight on the Columbia Transport lighter. It is an amazing collection one of the greatest and nices I saw. One of the best collections on the planet !!! I am honoured to meet your acquaintance. I own a few US Navy Zippos too but nothing compared to your impressive collection. Do you have a great collection of Zippo! An excellent site! I have visited your sited for two times, but I still have one same feeling. My dad served the South VietNam army, he has struggled from all those years to raise me up and make me understand the war. As a proud Việt Nam's son, I'm honored to be a friend of your. Wonderful site! Best wishes always! You have a wonderful collection ther John always look forward to see what stunning zippo you post next. Magnificent collection and a truly beautiful homepage, thank you for letting me know! I honor all that have ever served in the Military. Without these heros we would have no freedom. Whenever possible shake a hand of a current or former Military soldier. Let them know how much you appreciate them for there service to OUR country. Freedom isn't free! Its a pleasure to have been here,, i will visit often. Very nice website John! Love the prayers! I am honoured to recognise the sacrifice made by the USA during both wars and the help they gave us ensuring victory against agressors whoever they may be. Thank you for inviting me to ZEN. I was a plane captin for VA-35 from 1978 to 1981 on the USS NIMITZ. Those were great times! In appreciation of a fine individual and collector and with gratitude and respect for all US Veterans. I thank each and every one of you. Great site I found while looking up information on a zippo lighter I am putting on eBay to fund a ministry. I was with the 9th Infantry (Mobile Riverine Force) and spent a lot of time with the brown water navy. Also appreciate hearing those large rounds being fired overhead when we were hunkered down in the field. We Vietnam Veterans stand as one when we say, "Never again will one generation of Veterans abandon another." We support American and International Coalition Military Forces 24/7/365. As you know, my Father, Gregory Joseph Fusco was aboard the USS Thresher on it's final mission. The Threshers entire crew, 129 American heroes have been on "Eternal Patrol" since April 10, 1963. A day hasn't passed in my life, without remembering my Father & his shipmates. Very cool site! If you dont have a Toronto Blue Jays MLB Zippo and want to add 1 to your collection , I have one for sale. Check out my site too. What an amazing collection!!! Glad I was able to contribute to it. Thank you for the invitation. John, You have quite a collection here! Thanks for opening my eyes to the Zippo world. You are a good person. A collection second to non. Kudos on your site also and well done for highlighting that we must not forget the hard work our boys and girls have done fighting for the UK\USA both currently and years past. an amazing collection--thank you for sharing and maintaining this site. we are brothers and sisters in Christ. amazing site and collection! I will go through them all eventually! Keep collecting, you are an inspiration to a new collector! What a fantastic collection. Took me days to go through it! To all those who have made the ultimate sacrifice may God bless you. To all those willing to risk the ultimate sacrifice may God protect you. Very enjoyable to see such a superb and comprehensive collection. God bless all who fight or fall for country. GOD bless our troops serving currently and the soldiers that have served this great country previously, your gallantry and sacrifice is appreciated by many! Hi John, once again congratulations with your great collection. Thank you for sharing and for your willing co-operation on my blog. You have a very nice site and an even better collection of Zippos. Enlisted, US Army Ranger - 1985-88, Officer, MSC 1996 - present. Thank you for your support. Very impressive collection. A wonderful and heart-felt website dedicated to the brave people in the armed forces. Thanks for putting together a very interesting website and for depicting your fantastic collection of Zippo's. Great collection!!!! Having served on the USS NJ all duiring WW-2, I appreciate your dedication to our men and women in uniform. Excellent site,John.You have a fantastic collection! Will take me a few years to get anywhere close! That's my favorite quote there on your homepage! Great collection too. The page just kept loading, and loading, and loading, I didn't even want to try to count how many there were. Love the Coast Guard section. hoorah! Great site John. I kept scrolling down, waiting for your collection to end, getting more jealous the further it went! Great site and great collection! Dear Sir, congratulations with your great, nice, beautiful, amazing collection. Thank you for showing ! A Zippo collector from Belgium. I'm speechless! you have the most beautiful collection ever!!! WOW-JOB WELL DONE GREAT COLLECTION! KEEP EM COMING! Hey John...I am truly honored to be invited to visit your TOP NOTCH site. Thank you for your service to this great nation and for all you continue to do. One of the best Zippo collections of any kind I have ever seen. Congratulations. WOW! A truly massive collection. Verrrrry impressive. Awesome site!! Awesome collection!! TOP SHELF!!! Magnificent collection and a truly beutifull homepage, thank you for letting me know! great job and very interesting collection. You have a Ft.Knox cica 1972 lighter. I attended basic training and AIT at the Armor training center there. very nice Zippo collection. I like your Hompepage. Beautiful collection of lighters, great site. Greetings from Birmingham, England ! WOW that is quite a collection! Oh man, I forgot all about the Zippo belt buckles! You have one MASSIVE collection of lighters. Bravo Zulu! wow this collection is amazing. thank you for showing me. Thank you for showing all your Zippos,fantastic! A very awesome collection of lighters. My father would be happy to know that his lighter reside here! Sir, your lighter collection is truly impressive! It is a pleasure to know this Navy T-44A Zippo ruler is being added to a wonderful collection. We will always support, honor and pray for our troops. Past and Present. God Bless Thank You ! It was an honor to supply the 321st Bombardment Wing Zippo for this very impressive collection. Thanks for your service to this great nation! Thanks for your purchase of our Zippo item. Hope it fits well in your gallery. Thank you for your service! John...An amazing collection. So glad the Bell Helicopter knife went to you. Not only an amazing collection but also a great reference site. Thanks for the invite. John, what a great web site! !Thanks for the invitation, it's most impressive. John, you've done a great justice to the men and women of the military by collecting and exhibiting such a wonderful collection of military Zippos. Thank you for the invite. Most impressive and some helpful items for my own field of particular interest in the shipping section. You got one nice collection of Lighters. I'll have to explore your site as time goes on. At first glance it is impressive. And for some good friends that didn't come back from Nam and for those who did and still paid the price, I add my respect and gratitude. And for the men and women who now serve at great cost with valiant effort as we at home remain free. A man that has no record in his life has lived withouth sense! Such a well established and comprehensive collection of Zippo's, truly a work of art. This is a fantastic website, showing the dedicated respect and honour the men and women of the United States armed forces deserve. Well done mate, Well done. Excellent collection and a very emotional site. My most sincere congratulations on your site and its great collection. Great collection you have there!! Thank the service for your country! AWESOME COLLECTION! I love them all man! I am very jealous! Great collection, John. Thanks for inviting me to view your wonderful website. A fantastic collection of vintage lighters and knives. Very dedicated. And once again thankyou for the warm welcome. Thank you for informing us about the Zippo going into such a great collection. We are honored. Keep up the great work. We love any tribute to the men and women that serve or have served to protect our great country. Thank you for your purchase, and I am honored that you have added it to your amazing colleciton. God Bless the Men and Women who have served our country to keep it free, and Thank You for maintaining this wonderful tribute. Wonderful website! Very nice collection. I am glad your please with the vintage zippo pieces you got from me & my Dad.. God Bless and Thank You to all the Men & Women who have made it possible to keep our County Safe! I am happy that you purchased the lighter on E-Bay! Great Zippo Collection! Glad you won the auction so you could add the zippo to your collection. it is a great site and a good idea you had. well done! Awesome web sight,Im happy you were very satisfied with the vietnam era zippo lighter you purchased off me in the original box.You have a fantastic web sight with military history.May god always be with you all who have served in the military and especially ones who have fallen in battle.He is your leading commander.god bless you all. I would like to say "THANK YOU" to all that have and ever will serve our military. That is not enough to just say thank you but it is meant from my heart. May God be with each of you wherever you may be! Just call on Him when you think it is the darkest of hours and He will be there just as He is in the brightest of days. God bless you all! You have a very nice site and an even better collection of Zippos. Well done! God Bless you for Honoring our Men. Great Lighter collection and so glad I could help in a small way. Wonderful website and wonderful collection. Fantastic site! Your Zippo collection is outstanding. Thank you for sharing. I am happy that the lighters you purchased from me will be enjoyed by you as well as documented as a piece of military history. WOW! What a great collection. It is nice to know that some of the lighters from my collection have found a good home and are being taken care of. Keep up the good work. Your site is beautiful and a fantastic tribute to those who have fought and those who are fighting for our freedom. You hold an amazing collection of military lighters - each one unique and special just as their previous owners. Will continue my prayers for those in harms way John...thank YOU! Nice lighters! I'm glad to be a ZeN member! Nice sight my dad was a vietnam vet who served on the front lines his country! I so enjoyed your collection. Thanks for sharing it with everyone! As British we never forget that our American friends fell by our side. I'm glad that lighter is important to your collection. Win Lyons. uss lawrence ddg-4 1964 - 1968. i was hoping that you would have my ships lighter? Excellent collection John, I had to take two days off work to see them all. Actually you already have your own personal Zippo Club. A great tribute to our men in uniform and as one who has served ....Thank You. A very impressive collection John! Wow! A salute Sir! Many thanks for your welcome on ZEN and the invite to view your website. You have an impressive collection and thank you for your tribute for our Service Men and Women. I look forward to learning much from you! Thank you Seal Team Six .. Osama Bin Laden is now in hell .. GO NAVY! John, one of the best ites that I have seen. Thank you for posting. http://www.salisburypost.com/News/050111-shue-in-concord-kannapolis-qcd This link is about a local MIA soldier that finally made his way home to N.C. on April 30,2011. His body found along with his Zippo. A wonderful day! John, thank you for posting this wonderful collection and tribute! Your passion and caring shines through! John is a super guy with a supper website! Thanks for bringing together so much great information and honoring our heros!! Best wishes to you! great site and awesome collection. I have family in the service and it is nice to see that people still support our troops! Honor to all armed forces and vetrans. Also, I give honor to my local heros, The Navajo Code Talkers. Beautiful website and incredible collection. God bless you and our boys in tha Forces. Hi John, You are a remarkable man. Thanks for all your work on behalf of US veterans. Please continue following your passion. I feel honored when allowed to walk through your personal memoirs. A Life-size collection. Massive and richly filled with stories of not just a nation, not just about us the United States. What a fantatsic collection. Your site is informative and interesting. A most impressive collection. I look forward to visiting again. Thanks for raising up our soldiers and sailors. We will never forget their courage and sacrifice. Fair winds and following seas, my friend. GREAT WEBSITE, KEEP UP THE FANTASTIC WORK and GOD BLESS OUR TROOPS AND OUR COUNTRY. It is great to see people taking time to honor veterans. I enlisted as the war in Viet Nam was winding down, and little was done to honor the servicemen of that era. It is a different situation today. Thank you! I appreciate the men and women who serve our country to keep us save. God bless all of you. I sold you the USS Eugene A. Greene on ebay, I am glad it went to a good home and am happy to be a part of your history. Zippo Enthusiast passing through but love the dedication and collections. Truly inspiring! Great collection and awesome presentation. Grade A collection. An outstanding collection with excellent presentation.A true tribute to all our fallen heroes. Excellent site, an outstanding commeration to the military and informative as well. Keep up the good work mate! As always john great website, great informative, liked it very much my friend.. keep up the good work, hope u feel better and ur tests would be good. Very nice and informative website ! Cool ! I am pleased to have visited your website and to have a small part in contributing to the collection. Awesome site. We can't forget what others have sacrificed for our freedoms. 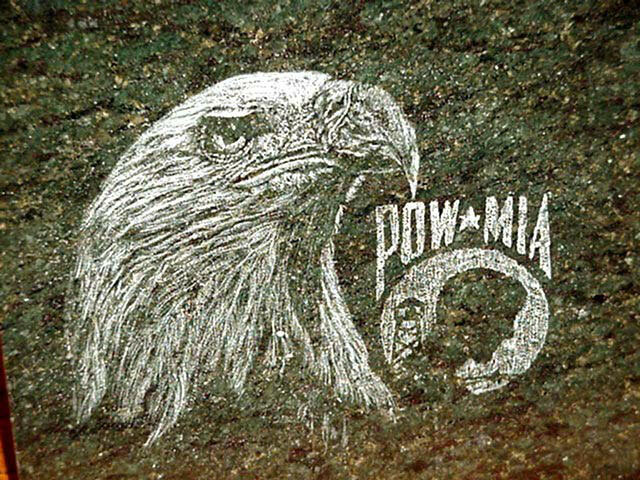 Great web site, it's very humbling when you are reminded of all the American's who have given so much for our Country. I appreciate you taking the time and effort to collect this military history. Thank you for telling me about your wonderful website. My father would be very proud to see his lighter honored there. Thanks for passing at my ZeN profile and for your kind invitation to visit your site. It's really great, and a very good reference on military Zippos. Though I've never been in the military myself, I do respect those who serve to protect peace all over the world no matter what country they are from. Your web page is fantastic, I enjoyed it very much. In my opinion ,its a 10 (10 out of 10)and I liked the warriors Psalm, very moving. Thx. Thank you for sharing and thank you for serving!!! WOW, so impressive. As a new zippo collector that is what I can only hope that my collection will look like someday. Thanks for sharing it to all of us at ZEN. awesome zippo collection, it's beautiful to see al these lighters together... cheers! I really want to congratulate you on this magnificent website. I am proud to have my late uncle's lighter be a part of your collection. He was quite the "Navy" man and would be extremely happy if he could see your collection. Thanks for sharing. I'm so happy to see the 51 Plane of the Year Zippo go into such a magnificent collection. Good luck in your future hunt for more rare Service Zippo's. nice collection you have, many many nice Zippos! cheers! Happy to see these are all going to good use for public viewing.Very interesting site you have created. Hi John , here I am . I'm glad to visit your guest book and your site . As a former soldier, I sympathize with the USA soldiers through many wars. From D-Day ,Korea ,Vietnam to Iraq and Afghanistan today . This photograph, which I set up is a search of the enemy and their position in the Bosnian mountains.Very funny job . I have a 1971 zippo slim lighter , It is engraved by a US Sailor GEORGE WILKINSON on one side & has a fouled anchor & USN on the other side. The engraving if bit primitive but I guess it could be considered trench art??? Contact me at cchenowth@cox.net if your interested in seeing photos. I'm open to any offers on this lighter. What a wonderful site. Keep up the great work. You got a great collection man! Thanks for sharing your collection, and your service to this great country. I'm glad you like the 1963 Douglas Aircraft Division Zippo you purchased from me on ebay. It's cool that the lighter is now in such a nice collection. I'm basically a PICKER. I find cool things I like & list them on ebay. This isn't the first item I have found that ended up in a nice collections or museums. The items include a West Point Ring , vintage cast iron banks , vintage auto racing posters , RARE Harley Davidson posters & paper work just to mention a few. Hi John, Thanks for sharing your incredible collection with everyone. You are truly a Great American. Thank you for your service and Godspeed! A great tribute you have going on the site, had no idea the number of military zippos there are, amazing collection. What a nice site. We need to remember and what a great way. nice site mate!Good luck with your collection. What an impressive collection! Thank you for your service to our great country!! Thanks for the inviting me to sign the Guest Book! It was an honor to have met you via the net! Good luck with your collection. Thanks for the pleasant transaction. I very much enjoyed your site, and was 'honored' to have added the Midway to your great collection! Amazing site combining a common interest and a common sacrifice, great job creator! What a Special Site dedicated to our armed forces and their magnificent sacrifice. Each of us should visit daily just as a reminder of what we owe our servicemen. Our fathers, both proud World War II Veterans...Army and Navy...served our country well in heart and strength. Lois's father still is an energetic 86 year old and has a diary of his years of service which he cherishes full of photos and daily tasks and service. My father has passed away two years ago but was always so proud of his service in the navy. He received veterans assistance in his later years while in nursing care. He was most grateful for the help. Thank you for this wonderful dedication to those who serve our country. Great website!!! A wonderful tribute to those who are serving and have served our great country. I'm glad the Zippo found a good home in your vast collection. Thx for letting me know about this site. I will bookmark it and share it with others. Nice site. Great home for the lighter. Thank you for letting me know about your website and how the lighter you got from me is being displayed. I may have another if I can find it and I will contact you if I do. Great job. I am glad you could use my item. That's quite a collection you've got there! I enjoyed looking at them! In honor of Dennis Woods who passed in late 2010. He would be thrilled to know his lighter is on such a great website where all can enjoy. Very glad my Yap Island lighter ended up where everyone can share---great website--bring em home soon. a,m ar zippo collector from holland. I've never seen a collection so military orientated and expansive. This collection is unlike any other. Great website. A great website with a greater purpose!! !